Slone in Cole v. Mark Lively Welding Ltd., 2012 NSSM 23. In this case, the Claimants, Stephen Cole, and a so called “White Star ICI Plastics Management”, sued the Defendant company, Mark Lively Welding Ltd., for damages they alleged were done to a truck while in the Defendant’s possession. Adjudicator Slone noted in his decision that the records of the Registry of Joint Stock Companies (Nova Scotia) did not indicate that an entity named White Star ICI Plastics Management existed. He did note that there was a “White Star ICI Polymer Management & Plastic Recycling Services”, a business name registered by a limited company (a corporation) however. Adjudicator Slone attributed the discrepancy to an error in properly naming the 2nd claimant. He also explained that the records indicated that the registration of the business name, White Star ICI Polymer Management & Plastic Recycling Services had in fact lapsed, and more, that the corporate registration of the limited company itself was no longer in force (presumably it was also not renewed). In short, the name of a claimant as indicated on the Court filed documents was wrong, and even assuming it had been correctly indicated as White Star ICI Polymer Management & Plastic Recycling Services, its registration was not current, and neither was the registration of the corporate entity that registered it. The consequences, as explained by Adjudicator Sloane, was that claims brought by “White Star” cannot proceed because as an unregistered business name, it has no status under which it could litigate in this province pursuant to s. 20 of the Partnerships and Business Names Registration Act. Further, any claims brought by a corporation which does not have a certificate of registration which is currently in force, also cannot proceed in this province, as stated in s. 17 of the Corporations Registration Act (Nova Scotia). As far as Mr. Cole himself being able to claim, Adjudicator Sloan commented that there was no evidence that Mr. Cole owned the truck, and if such were the case, would mean that he had no contractual claims or otherwise, in his personal capacity with respect to the truck. There are some important lessons to be taken away by entrepreneurs here. First, this case demonstrates the importance of having at least a basic understanding of the differences and distinctions between an incorporated and an unincorporated business. 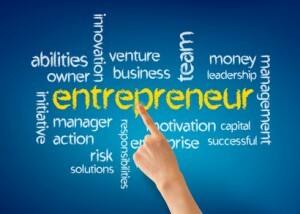 This will assist the entrepreneur in properly structuring his or her business to meet his or her needs. It will also enable the entrepreneur to know who he or she is in business, or in contract with. As we have seen in the above case, this is especially important if the entrepreneur ever has to take legal action against another business. Also, for your own business, be sure that your business names are registered and that any applicable corporate registrations are complete, and all renewals are up-to-date as required. This will ensure that if you bring a claim against an entity, that your claim is not barred, as was the case in the White Star lawsuit described above. It is also important for entrepreneurs to ensure that they enter into contract using the proper name/entity because, although a registration may be curable, an improperly drawn contract is not. There is a useful tool available in Nova Scotia for searching registered business names and entities. The Registry of Joint Stock Companies’ online database is available to the public and allows anyone to search and view limited information of the registered business names and entities within in. Search queries can be performed by name, or by registry number. When setting up a business, it is recommended that you seek the advice of a business lawyer. This will ensure that you choose a business structure that meets your particular needs taking all of the facts into consideration. Also, having legal advice when entering into a contract, or commencing a legal proceeding is equally as important. This will assure that proper steps have been taken so that you don’t inadvertently put your rights or remedies at risk. If you would like to discuss setting up a business, contract or any other business law issues with Garnet Brooks, he can be reached at the law firm. Click to Contact Garnet.